Fantastic post! I think the TOC method might work well for me in this case. I’m going to give it a shot when I go in to revise the project I just finished. Thanks! Unfortunatly it does´t work here. In one case, i keep getting a loading symbol (the heading is there, but the content doesn´t follow), in the other I get an Evernote start screen (“sign up here”). Using method one. Do you have any advice? mesugarcube: I still sometimes have trouble importing web pages of any kind, even from Evernote. That’s why I mentioned using References. It works for the Mac too. For the second case, are you sure you copied the URL by going into the Share submenu? 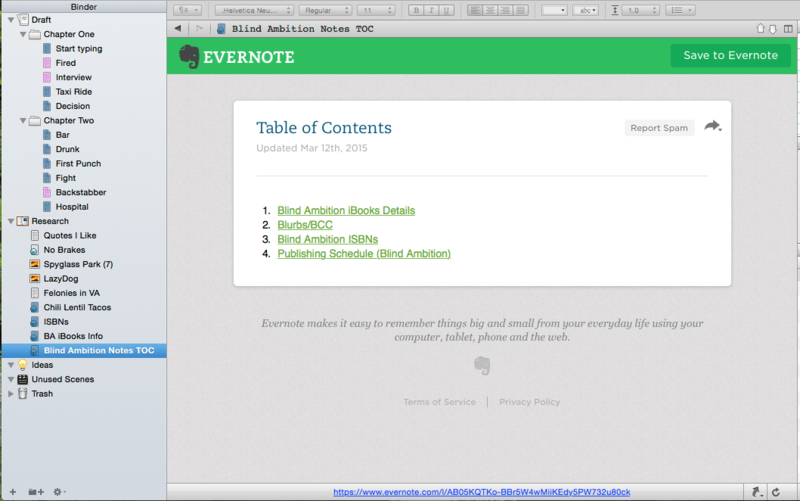 Usually I get the Evernote start screen when I just use Copy Note Link instead of grabbing the public link. HTH! Thanks! Yes, I´m pretty sure I did it the right way. I´ll will try it again later. It´s not that complicated to just look it up in Evernote on the other hand. 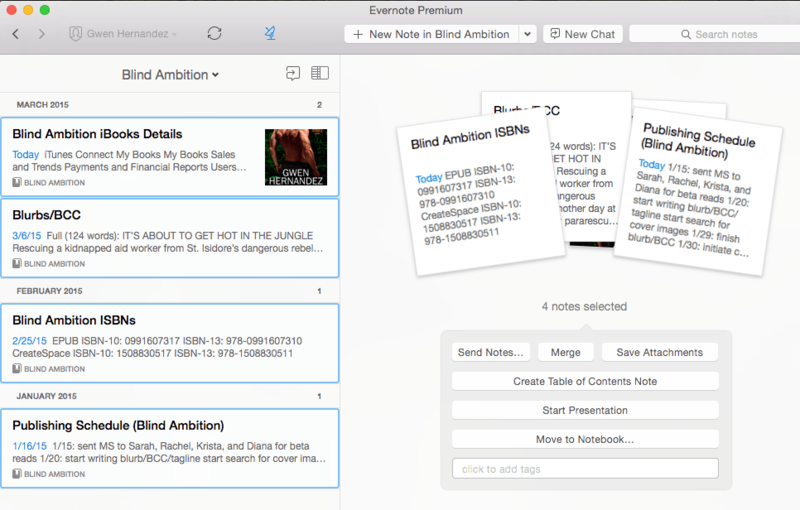 can i import a lot of evernotes at once? m: Unfortunately, because the notes are not files that you can just grab and drag, I don’t know of a way to bring in more than one at a time. The TOC option might be better for you. And that’s it! The notes look like regular rich text notes. I’m new to Scrivener, so I may be missing something. But hopefully this is helpful to someone! Thanks or this tip, Gwen! I didn’t have time to read it completely right now, so I used Evernote’s Web Clipper to clip it to my Evernote Scrivener notebook! 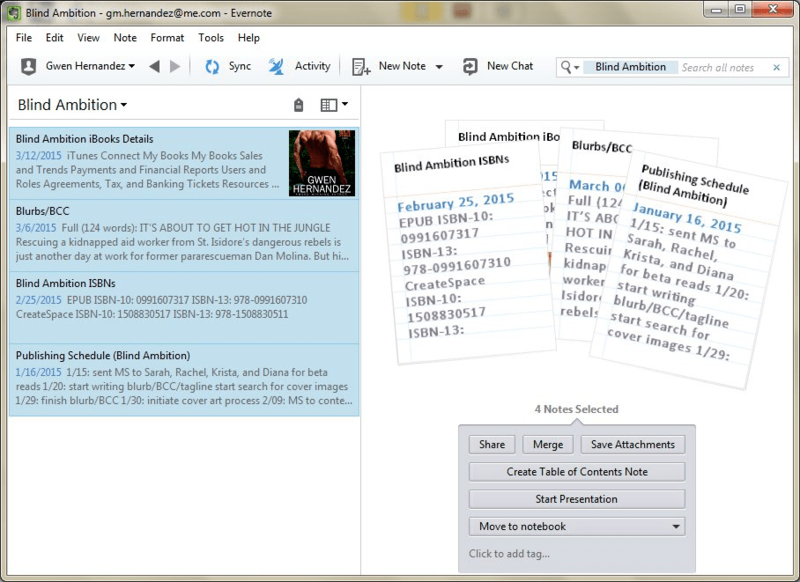 BTW, you’re my new “go-to” resource for Scrivener! Brilliant! Thanks for pointing the way. I would have liked to bookmark you page but apparently the right click menu is disabled. Yours is the first page I have run across in FireFox that would not let me bookmark it. Seems kinda counterproductive to building readership. 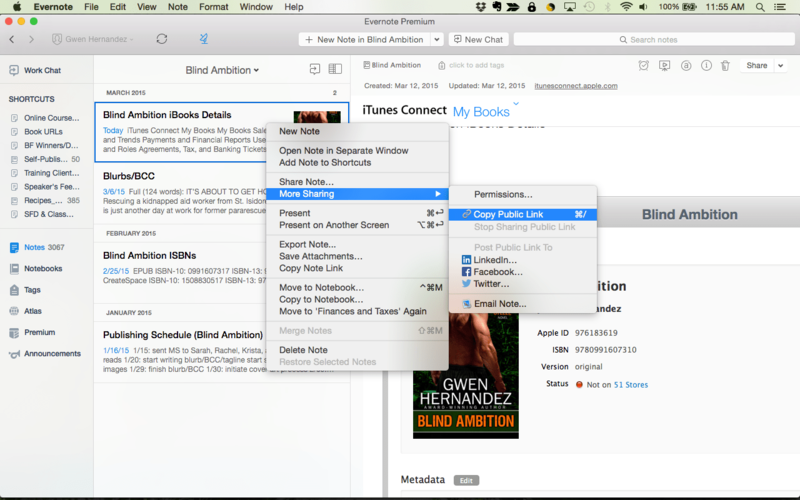 Marshall: I’m surprised Firefox requires you to use the right-click menu to bookmark pages. I’d expect there to be another option. Either way, I didn’t realize that setting was suppressing the right-click menu. You’re the first to mention it, so thanks for bringing it to my attention so I could fix it. Don’t get it. It took me a quarter of an hour just to find that you’re right and the import doesn’t work properly in Windows, then to get a reference that said “not found”. 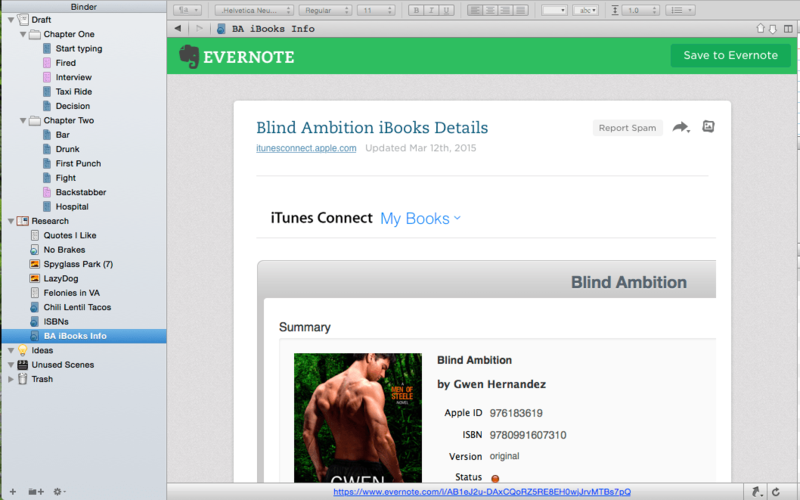 And why use Evernote if I just can copy the original URL (or the Webpage) into Scrivener (which took me ten seconds)? I just don’t get it. Hi, Helga. 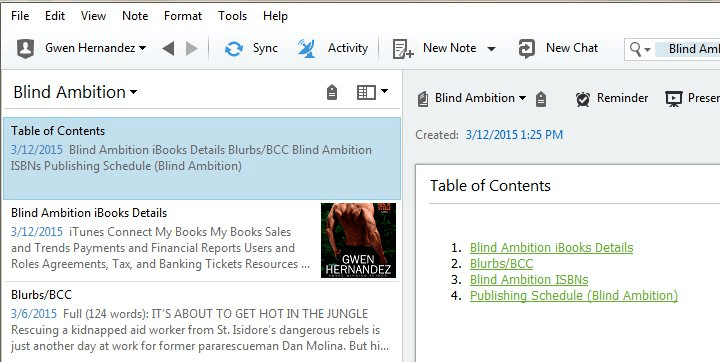 There are a few reasons people might want to use both Evernote and Scrivener. 1. Not all web pages import into Scrivener well. 2. Web pages can significantly increase the overall file size, which while it shouldn’t affect the project’s performance while you’re working in it, can affect the speed of backups, and your ability to move the project or store it on a cloud service. 3. Evernote is a stellar web clipper that gives you multiple options for how the page is saved, which can mean cleaner results. 4. 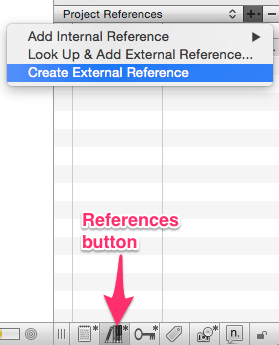 If a lot of your research overlaps with research for other projects, it may make sense to keep the general stuff in Evernote where it can be easily organized/tagged/searched, and then only import specific pages that apply to a project. 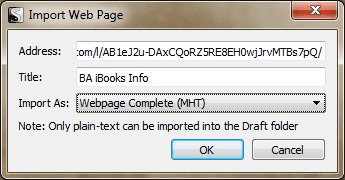 Obviously, if importing the web pages directly into Scrivener works for you, then great! 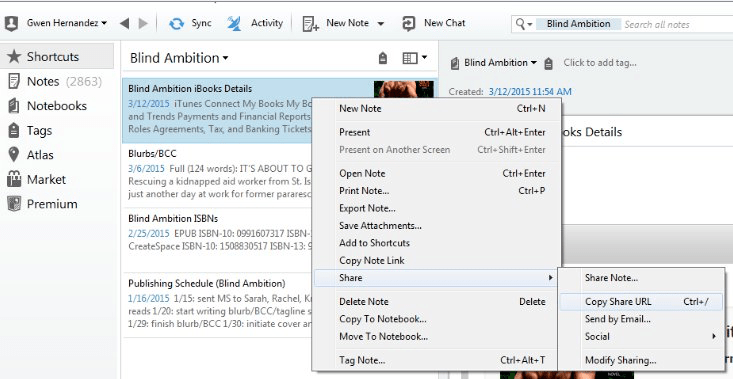 But if you run into an issue at some point, and you’re already using Evernote, this is another option. 🙂 Thanks! The issue I’m constantly running into is that neither importing the webpage nor creating a reference has worked, following your instructions. So the only way for me is to copy and paste just the content of the webpage into Scrivener and keep my good humour instead of banging the machine to pieces. It may be Evernote and me that don’t work properly together, but so it is. Thanks nevertheless! Lot of work to get around copy-paste. I’m sure I’m not going to be doing this. Both about writing economically and doing things the easy way. Yep, JB, that’s another good option. Thanks for sharing!